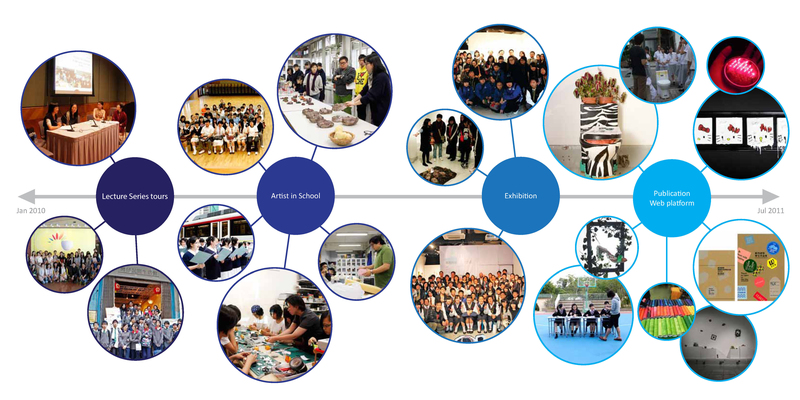 The theme of “Travel to Learn in the City” and the goal of the project were to introduce worldwide contemporary art visions to local educators, and to bring them lively experience by emerging into the local art scene practically. 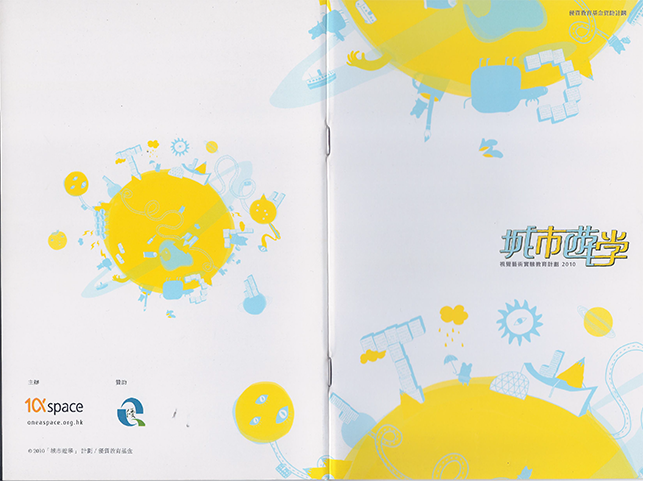 The key visual design was integrated both “city” and “worldwide” into a “little planet”, with a strong taste of fresh student style - hand drawings by colored pencils. And for the conclusive publications, the book covers were designed with an idea of “a transformed baggage”, which was carried out by thick and raw wrapping paper with additional stickers, to present the concept of “traveling” and “collecting memories”. 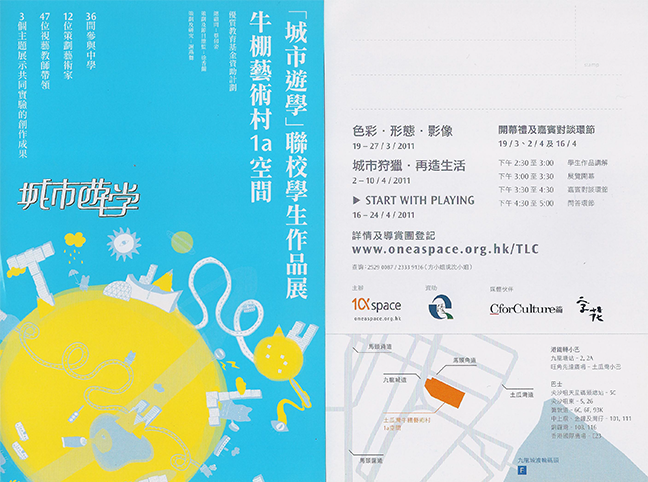 2011, offered by the Hong Kong Arts Development Council.